We sometimes take our hair for quite a rough ride. From burning straighteners and curling irons to oil-scouring shampoos, a lot of what we do to style are hair can damage it in the long run. If your hair is in need of a bit of tender love and care, then don't worry - split ends and dry hair doesn't mean a trip to the salon to get it all cut off! What you need is a treatment to give back to your hair what it has lost. Plenty of salons do hair treatments, but these are expensive and chemical laden alternatives to simple, cheap and natural hair mask remedies you can make using what you have at home. 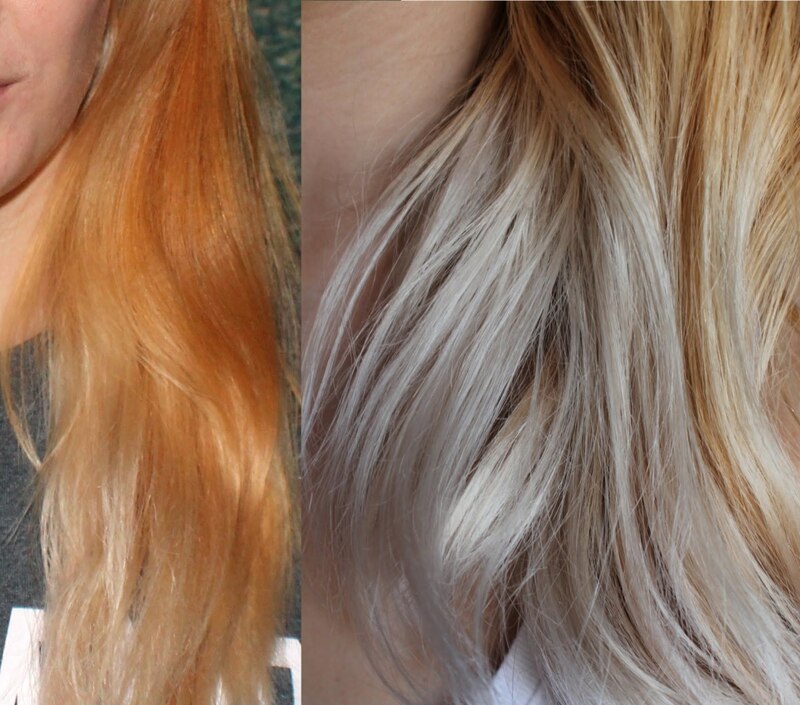 I'm a big fan of DIY hair masks and treatments (I bleach my hair so it can get pretty damaged! ), so I thought I would share with you the recipes I have found most effective. First of all we have a super hydrating mask that will leave your hair soft and shiny. The active ingredient is olive oil, a natural deep conditioner filled with anti-oxidants essential for a healthy scalp. 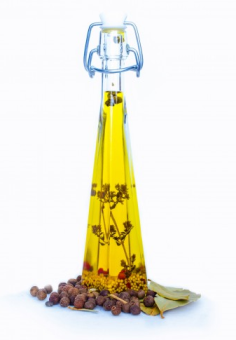 A side benefit of olive oil is that long term use can lead to a reduction of the hormone DTH on your scalp, which contributes to hair loss and thinning. This is a good one for hair conscious men too! The other two ingredients of this mask are water and honey. The molecules of olive oil are quite hard for your hair to absorb, so it needs to be mixed into an emulsion with water to make it possible to absorb. The resulting mix is going to be very runny, so the honey thickens it up and makes it easier to apply. Honey is also a humectant, meaning is attracts water and keeps things moist, enhancing the deep conditioning. As well as this, honey is another source of essential nutrients and antioxidants, so it plays a secondary role in the mask in promoting hair health. Start by putting five tablespoons of the olive oil in a microwavable bowl, and heat it up in the microwave for 15-20 seconds. Add the tablespoon of water and whisk thoroughly. Begin adding the honey about half a tablespoon at a time, whisking thoroughly. The aim is to get a mixture that is not too runny, but also not sticky. If it is still very runny when you've added the honey, add more honey. If it has gotten sticky, add more olive oil until you get the consistency just right. Your mask is now ready! Apply the mask evenly while your hair is damp. Be sure not to apply the mask if it is still hot from the microwave - let it cool for a minute. Place your hair inside of your shower cap, and leave for 30 minutes. Rinse the mask out completely at the end of this time: cold water and a bit of gentle shampoo will do the trick. Here’s a great mask that I swear by, given the amount of damage I do to my hair with the constant bleaching. The video tutorial above will tell you everything you need to know about how to make it and the health benefits of this treatment. One thing I would like to add however is that you should wear a pair of goggles while applying this treatment: raw egg is very nasty if you get it into your eyes and it can’t hurt to be safe. Be sure to wash your hands thoroughly after application and rinsing, and don’t touch your mouth or eyes until your hands are clean. This is a bit of an odd mix I came up with myself after trying to find the best way to turn witch hazel into a mask. Witch Hazel is magic for the scalp, acting as an astringent, which means it is a natural treatment for dandruff and other dry scalp and skin disorders. It also assists your hairs natural ability to remove excess oils, which makes it a good cleanser for those of you with oily hair. Witch Hazel can be applied directly onto the scalp using cotton balls and a lot of hair parting, but this is a time consuming process, so I wanted to make it into a mask instead. After experimenting with various ways of thickening mixtures containing witch hazel, I settled on Avocado. 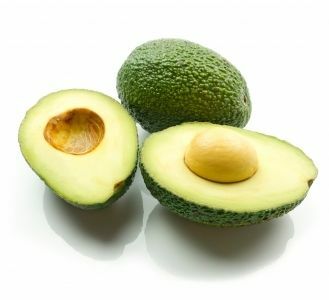 Avocado is packed full of vitamins and minerals which promote healthy hair, including folic acid and iron. 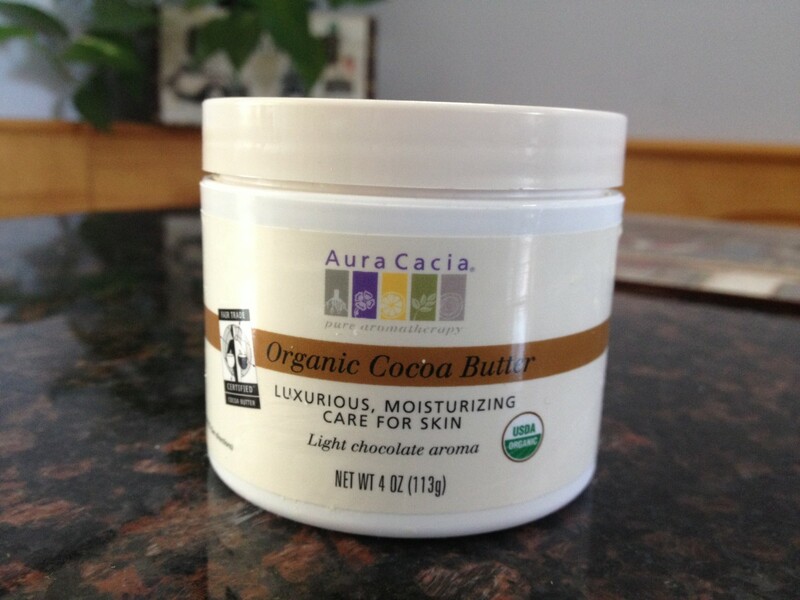 It’s also great for reducing frizz, due to high moisturizing capacity, I’ve found. Place all of the ingredients into a blender and blend until it forms a reasonably smooth paste. Apply evenly to your hair from roots to end, taking care to massage the mixture into your scalp. Cover your hair with a shower cap and leave the mask on for 20-30 minutes. Rinse your hair with cold or lukewarm water and a little bit of a shampoo. 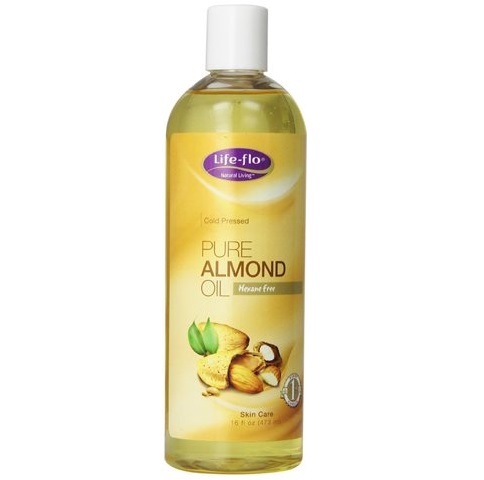 If you want a simple treatment that will make your hair soft and shiny without a lot of mixing strange concoctions in the kitchen, I recommend this one for you: Almond Oil. Almond oil is packed with nutrients that nourish hair and promote growth, and it’s very easy to use. First of all, make sure you hair is wet so that the oil can absorb into your hair properly. Pour some of the oil into your hand and begin massaging it into your scalp. Once enough has been applied, use a comb or your fingers to spread the oil all the way down to the tips of your hair, ensuring an even coating. Put your hair in a shower cap and leave it on for a minimum of 30 minutes to a maximum of 10 hours – the longer the better! Finish off by rinsing the oil out with shampoo and water. Yes, I am completely serious. Mayonnaise is absolutely amazing at transforming dry and damaged hair into silky, soft and gorgeous looking locks. Plus, everyone has mayonnaise lying about the house, so it’s incredibly convenient. There are two ways to go about it – you can just apply the mayonnaise directly, or you can add other ingredients to combine some of the health benefits of other masks with the deep conditioning. I’ve provided two video tutorials, the one below is the one I like to use, but the one above is great if you are in a hurry or don’t have a lot of ingredients lying about. Next up on the list is this fun banana hair mask. 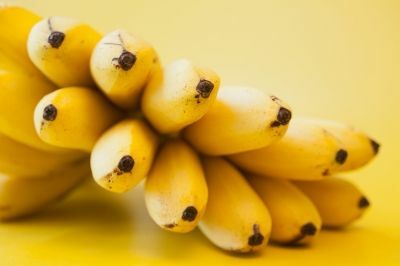 Bananas contain loads of minerals which promote healthy hair, including potassium which contributes to hair strength and repair. 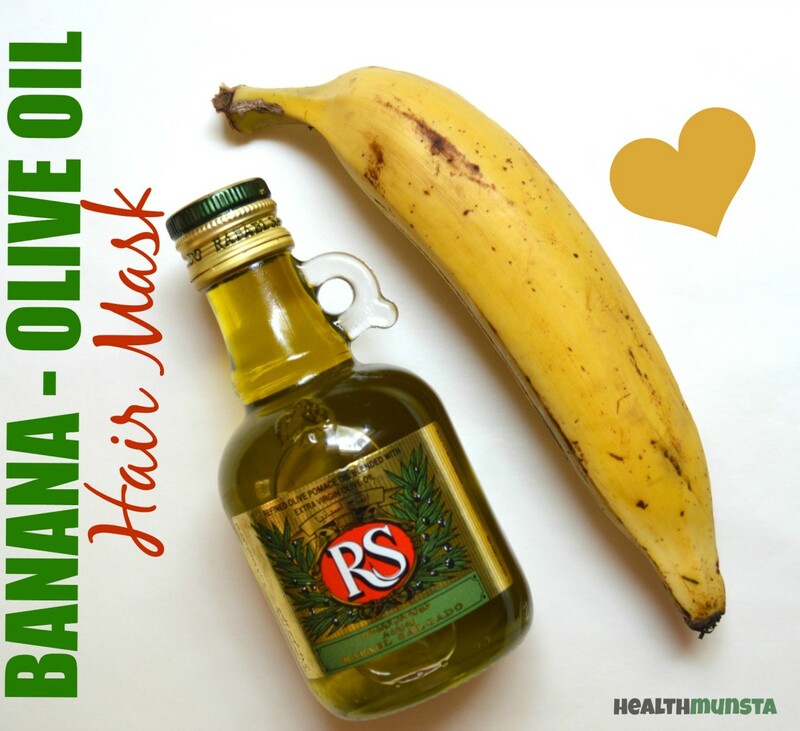 A banana mask is also an excellent moisturizer, smoothing out frizz and easing dry and flaking scalps. This mask is one of the easiest to put together, and optionally you can add a few drops of coconut oil to the mix to enhance the mask’s moisturizing capacity, and drops of vanilla or lavender oil can give the mask a lovely scent. This one is nice and simple, just mash up or blend the banana in a food processor, and mix in the tablespoon of honey and yoghurt. Voila! Apply the mask to your hair and leave in under a shower cap for 20 minutes before rinsing thoroughly. Another fun tidbit: the shininess of your hair is actually related to its pH. Many shampoos and commercial hair products are alkaline, which means your hair may have an imbalance in its pH which leads to dullness. This means the slight acidic quality of apple cider vinegar will enhance the luster of dull hair. This rinse will also close up many of your hairs cuticles (the little scales on the hair’s surface), which makes your hair smoother and less frizzy. This rinse works fantastically well after applying a mayonnaise hair mask, so if you have a bit of time it is definitely worth doing both. A green tea mask is perfect for slowing down the effects of hair thinning and promoting hair growth. 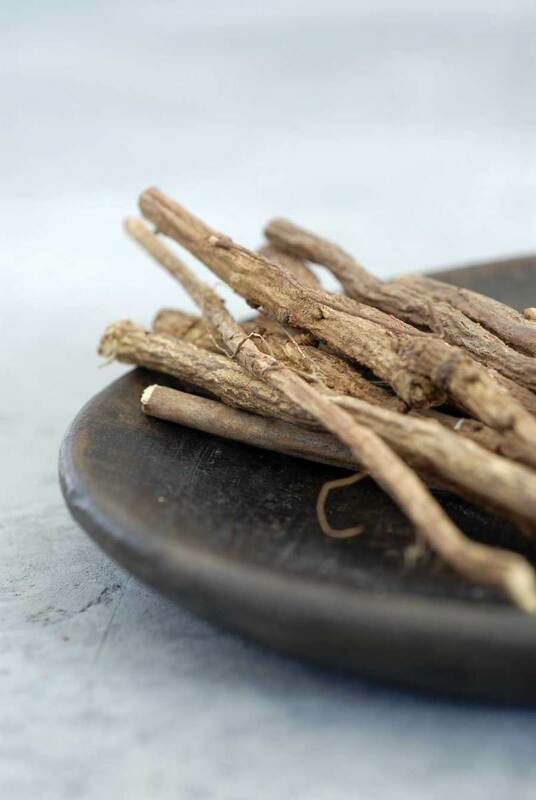 It has two ingredients which affect hair growth: firstly it contains epigallocatechin-3-gallat, which promotes the growth of hair follicles and stimulates hair growth, and an enzyme inhibitor which stops the scalp converting testosterone into DHT, which can lead to hair loss. 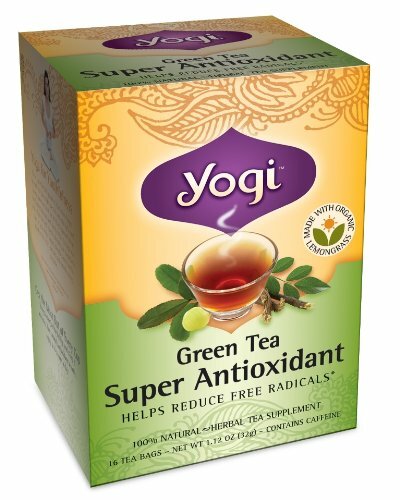 I like to use Yogi Super Antioxidant Green Tea to add a bit more of a healthy punch with some antioxidants. The mustard powder in this mask helps increase blood circulation to your scalp (you may feel a slight warmth or tingle – that means its working!) which also promotes hair growth. This treatment should be used frequently depending on the degree of thinning, a minimum of once a week to a maximum of three times a week. First, make yourself a strong cup of piping hot green tea. You won't be using all of it, so you can enjoy a nice cuppa afterwards! 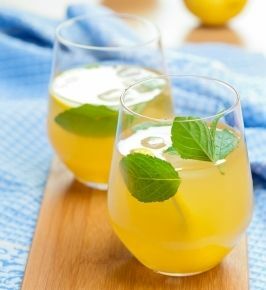 Mix an egg with a tablespoon of mustard powder, add two tablespoons of green tea and then mix until smooth and creamy. Apply the mask to your hair and place under a shower cap. Leave on for about 20 minutes before rinsing thoroughly. Here are two wonder-ingredients for oily hair: lemon juice and baking soda. Lemon juice is great for stripping away all of that excess oil that leaves hair looking limp and lifeless. Like the apple cider vinegar treatment, the acidity of lemon juice will also promote shiny and silky looking hair by balancing your hair’s pH. Baking soda meanwhile absorbs oil like a sponge, and is great for removing all the chemical impurities commercial hair product leave in your hair. It is very alkaline, however, which is why we need the lemon juice to balance it out. I wouldn’t recommend using baking soda on its own. This one is nice and simple. Just mix five tablespoons of yogurt (plain) with a teaspoon of baking soda and two tablespoons of lemon juice and apply evenly to your hair. Leave it one for about 30 minutes, then rinse thoroughly. If you have some time to get creative and want a hair mask which includes most of the benefits and ingredients that I’ve talked about so far, then this is the mask for you. It has all the goodness of bananas, honey, avocado, olive oil as well as another deep conditioning ingredient, buttermilk. If you have very damaged hair, then I would recommend applying this mask at least once a week. This has worked great for me when I’ve over-bleached my hair – fixes up the damage right away! Blend the egg, banana and avocado. If you do not have a blender, you can mash them together with a spoon instead. Do this until you have a smooth paste. Add the remaining ingredients and mix until smooth and incorporated. Which is your favorite mask or treatment? After putting on your shower cap, wrap a warm towel around your head or otherwise apply a gentle heat to your head with a blow-dryer on a low setting. Heat helps your hair absorb the mask. Rinse your hair with cold or lukewarm water rather than hot water. This results in a shinier look. 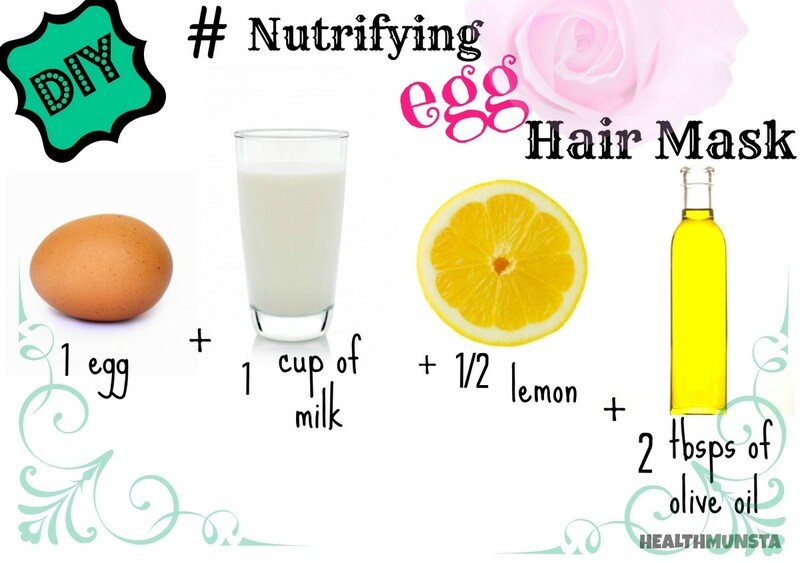 This is especially important for hair masks with egg in them: you don’t want to smell like cooked egg all day! Feel free to experiment with my recipes. 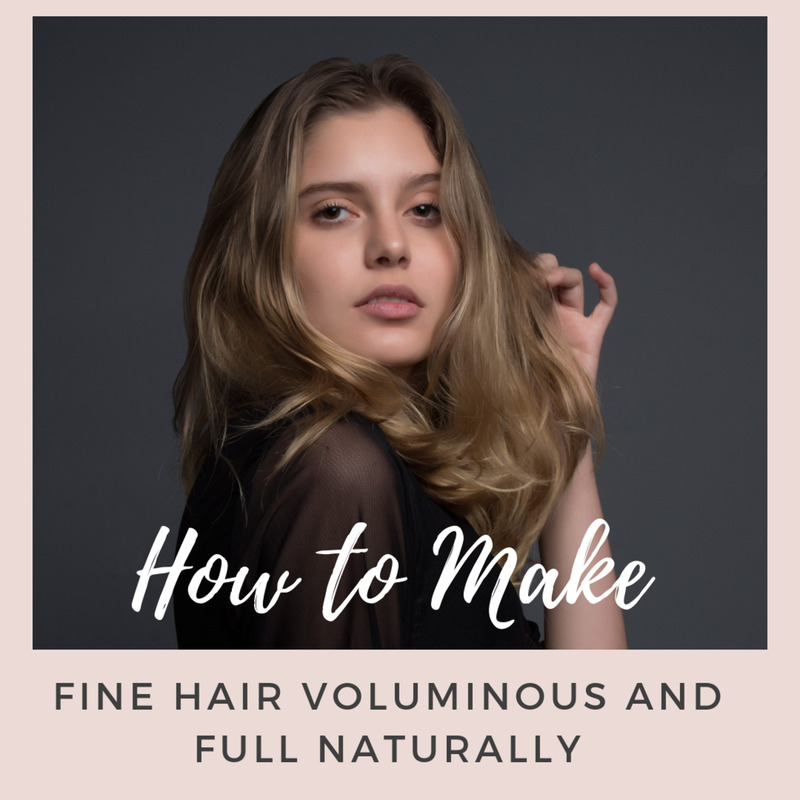 My hair is quite short and of medium thickness, so you may need more ingredients or a slightly different consistency if your hair is long or very thick or fine. A hair mask doesn’t have to be a once in a blue moon treat for your hair – you can make it part of your styling routine. I recommend using a mask or treatment once every two weeks for long lasting effects. So there you go, that was my guide to my top ten favorite hair treatments and masks. I hope you found a treatment that matches your needs and have a lot of fun experimenting. Thanks for stopping by, and feel free to leave a comment below if you have your own DIY hair treatment you want to recommend to others! All images on this page are courtesy of PublicDomainPictures.net, FreeDigitalPhotos.net, Clkr.comand Amazon. I love this Hub -so much information -am certainly going to try some of your recipes. Thanks so much for sharing them.